When it comes to traveling, you’d think about sites and attractions worth visiting, not public toilets. In some cases however, public toilets can become part of the attraction. Should you find yourself in any of these places, check out why these public toilets are worth a visit. Kawakawa is a small town that is part of New Zealand’s Bay of Islands. 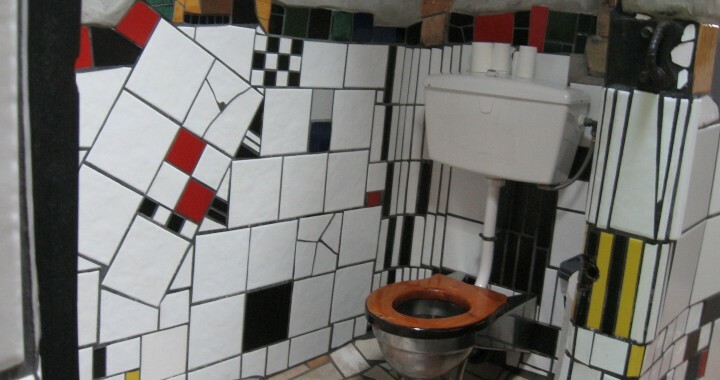 Normally, this won’t make it on any tourist’s destination list, but if you have an appreciation of art and nice toilets, then you’ll surely enjoy the public toilets designed by Friedensreich Hundertwasser, an Austrian artist and architect. According to wikipedia, Hundertwasser became “one of the best-known Austrian artists by the end of the 20th century”. 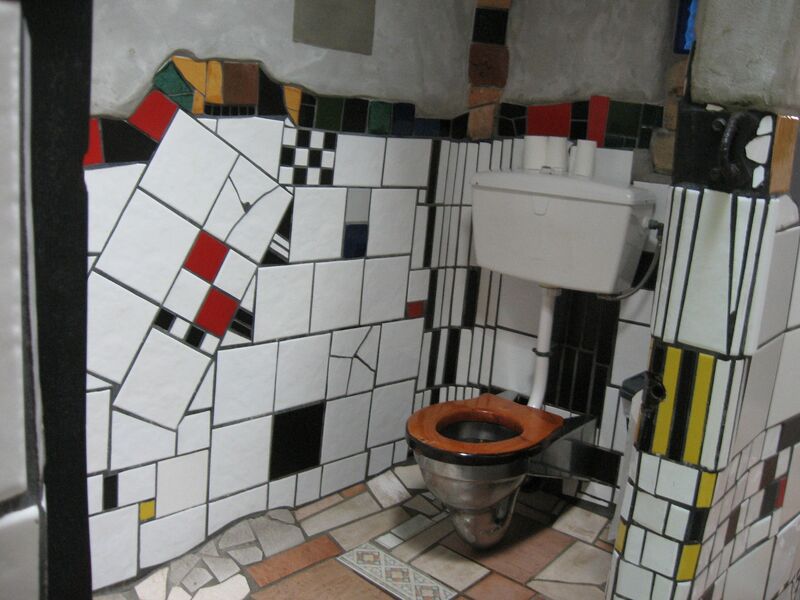 The toilet as an art masterpiece with its outrageous facilities–embellished with glass bottles as well as colorful mosaics–makes it a worth-it detour should you ever find yourself in New Zealand. It is also interesting to note that this is an “organic” toilet that is housed in an eco-smart building that has a living tree along with a grass roof as well as reclaimed bricks. If you’re looking for a public toilet that incorporates cutting-edge technology, Europe is the way to go. European cities make use of Urilift, a toilet that literally pops out from the ground at night and discreetly disappears back into the ground come daylight. Seeing a Urilift appearing from the street might startle you and make you think you’re part of a sci-fi movie, but these are pretty convenient especially as there are a lot of carousers at night. Urilift can be found in cities in Europe but if you want specific spots, you can find one in Cambridge Circus in London, and Rembrandtplein in Amsterdam, to name a few. Should you find yourself in Tokyo, check out the Daimaru department store there. Their toilet features programmable washlets from Toto, one of Japan’s leading toilet companies. Not only do the washlets have a heated seat, they also feature a bidet wand that will spray and dry your backside while the soothing sound of running brooks is playing in the background. Crashing ocean waves is another soothing alternative that plays while you’re doing your business. If you find yourself in the Big Apple, specifically on 1540 Broadway at West 46th Street, Charmin restrooms are worth checking out. Charmin changes themes annually, usually in the period between Thanksgiving and New Year’s Day. One time, it had a winter wonderland theme complete with 20 log cabin stalls, which is then cleaned individually by a toilet attendant after every use. Unlike the Undertwasser toilets of New Zealand, the JCDecaux Toilets designed by interior designer Patrick Jouin are simpler, employing minimalist lines. However, the self-cleaning stalls’ new design has incorporated a more spacious interior that is wheelchair-friendly, complemented with a delightful palette composed of muted grays and a lush green. It also features a “sky dome” which helps bring in natural light and an outdoor water fountain fashioned out of a hardy shell designed to withstand whatever bumps and bruises it may get from scooter and bike encounters. Some of these can be found on the boulevards St. Germain and Montparnasse, to name a few. These are just some of the public toilets around the world that could make toilet stops more fun for you. Do you have suggestions that you think should be part of this list? Posted in Toilets and tagged Charmin, Daimaru, Europe, Friedensreich Hundertwasser, JCDecaux, New Zealand, Paris, public toilets, public toilets around the world, Tokyo, travel, Urilift.